Our goal is to greatly reduce the use of solitary confinement. 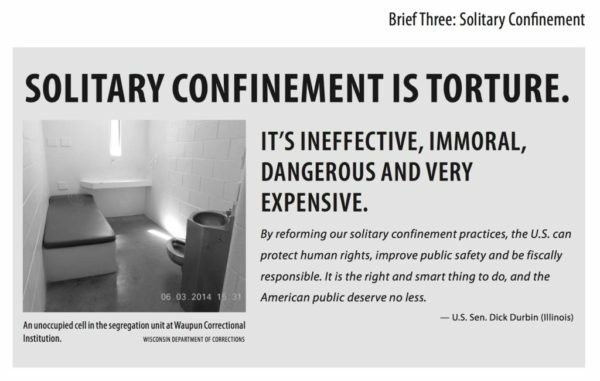 More than 15 days in solitary confinement is torture. It magnifies mental health issues and destroys people. Other states and nations have learned to get by without it, we can too.